Congratulations on your newborn. Now the fun begins. Are you aware that you have 12 months from your newborn's birth to get them registered at the Embassy. I am sharing the below based on an application for a child with two Malaysian parents. I am not sure what the variations will be if one of the parents are not Malaysian but hope you will find the below useful based on my recent application for my newborn. You will need 2 copies for the Birth Certificate Application and 1 copy for the passport application. For documents like your Identity Card and Biometric Resident Permit, you will need to photocopy the front and the back of the card. There are no forms that you can obtained online and will have to fill two copies at the embassy. You will not need to fill in a separate form for their passport. No card payment facilities are available, so it is best you bring exact change. One of the thing that deserves praise is the same day collection of the documents. The newborn does not need to be there for the collection of the forms and passport. Make sure you hand in your collection slip over the counter when the embassy re-opens between 1500 - 1600 for collection. 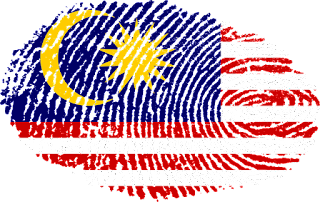 If you are planning to travel home to Malaysia, do note that you might have issues returning with your child if he or she has not been issue with a dependent visa. So, I would highly recommend that you start any dependent visa application and obtaining it first before heading back. Lastly, I don't work for the embassy and this is not an official site. For any up to date information, always contact the Malaysian embassy in London directly. You can visit their official website for their contact details. Hope you found this useful. Lastly, make sure you check my tip on getting free life insurance cover that will benefit your child.